Adrian Laing has an imagined conversation with his late father, RD Laing, challenging him on his controversial psychiatric methods, his drinking and his inconsistent parenting. Adrian Laing has an imagined chat with his late father RD Laing, challenging him on his controversial psychiatric methods, his excessive drinking, his frequent depression, and his inconsistent parenting. 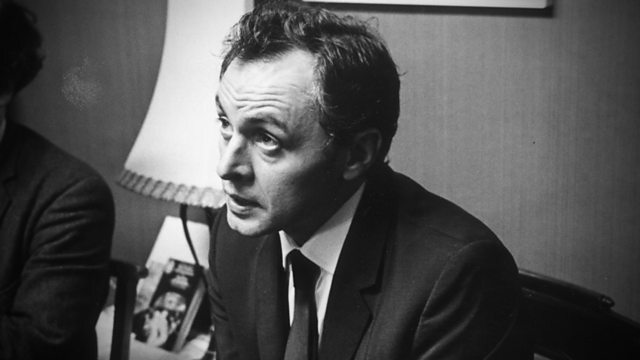 RD Laing revolutionised the seemingly uncaring and sometimes brutal treatment of mental illness in the 1950s, but a certain frustration permeates the conversation as Adrian tries to understand why his father never backed up his theories with the academic evidence which might have ensured his place in the psychiatric establishment. Instead, RD Laing's unconventional approach later in his career, including the use of LSD to treat patients, led to hostility from the profession and the undermining of his reputation. Adrian says to his father in the programme, "You were such a force for good for so many, you helped people in very distressed states of mind to come through it and to find the light, but when it came to your own, you were a disaster." Other pairings in this series include Victoria Wood in conversation with TV producer Geoff Posner, Anita Roddick with her daughter Samantha Roddick, Doris Lessing with her current biographer Patrick French, and Professor Stuart Hall with filmmaker and artist Isaac Julien. Archive material used with permission from Schweizer Radio und Fernsehen and The Iona Community.